For the jetsetting woman who has everything you can imagine in her closet and so much more, what to get her for Mother’s Day can be a challenge. 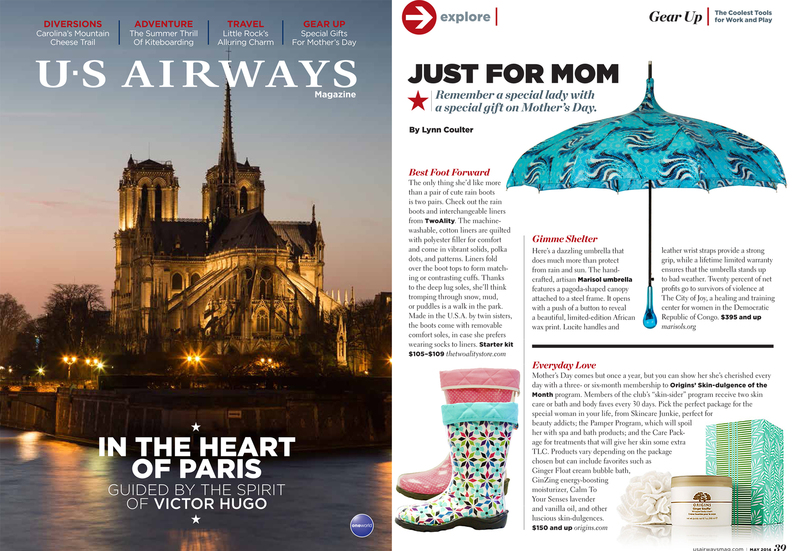 Travelers reclining on all regional, national, and international US Airways flights will likely grab a pair of TwoAlity Boots as featured in US Airways Magazine (302, 629 circulation). 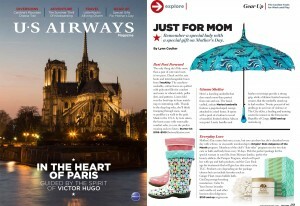 TwoAlity is featured in the May issue “Just for Mom” gift ideas in the Gear Up section.